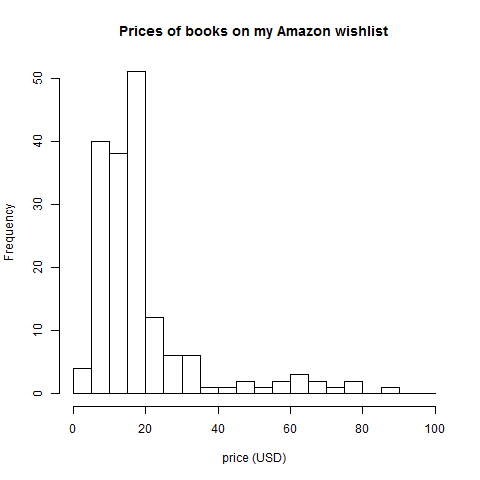 I’d like to see density estimates added to the histograms, but this is interesting. There are currently 174 books on my Amazon wishlist that I could order directly from Amazon. 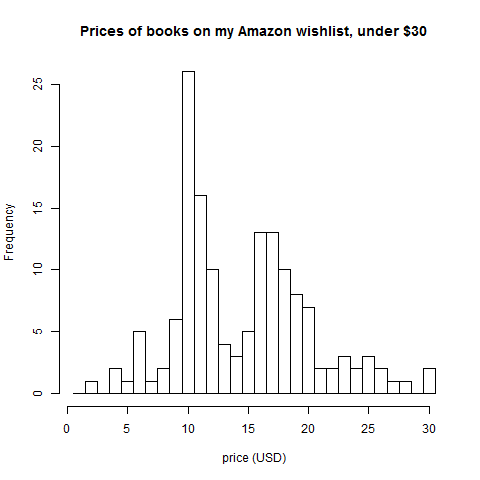 (My wishlist has a total of 195 books, but 21 are only available from other sellers.) Total price is approximately $3,549 (I rounded all prices to whole dollars), for a mean of approximately $20 per book. Posted on May 17, 2012, in Uncategorized. Bookmark the permalink. Leave a comment.